ARMN member Lisa Stern describes the dedicated work of another ARMN volunteer, Jennifer Frum, to engage Gunston Middle School sixth graders by providing hands-on experience in pulling invasive plants. The best lessons in life are the ones in which we have the opportunity to participate. And, if we are lucky, these experiences are guided by teachers and mentors who want to encourage the learning process by letting us get our hands into the project. 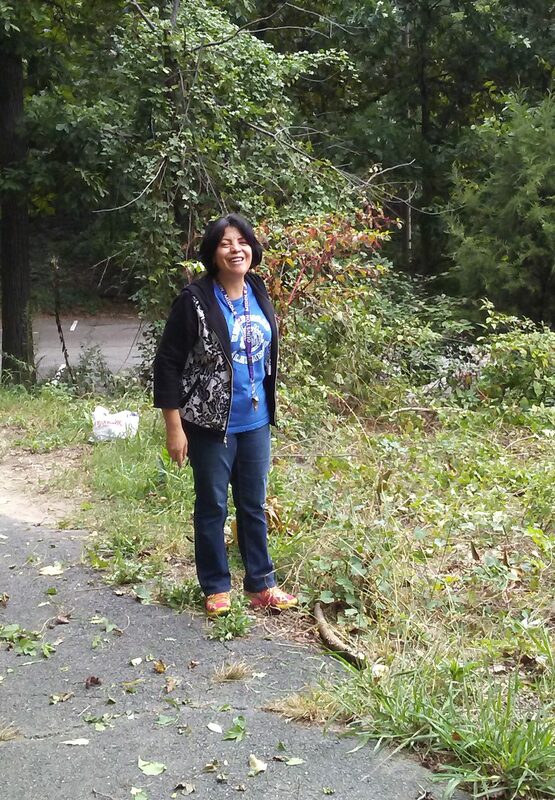 Several times a year for the past six years, Gunston Middle School sixth-grade science teacher Luz Chamorro has been heading a special project with lead ARMN volunteer and mentor, Jennifer Frum. The project started as trash cleanup around the school. However, as the cleanup progressed, Chamorro noticed invasive plants taking over spaces around the school. What started as trash cleanup became a lesson in helping the environment by pulling invasive plants. 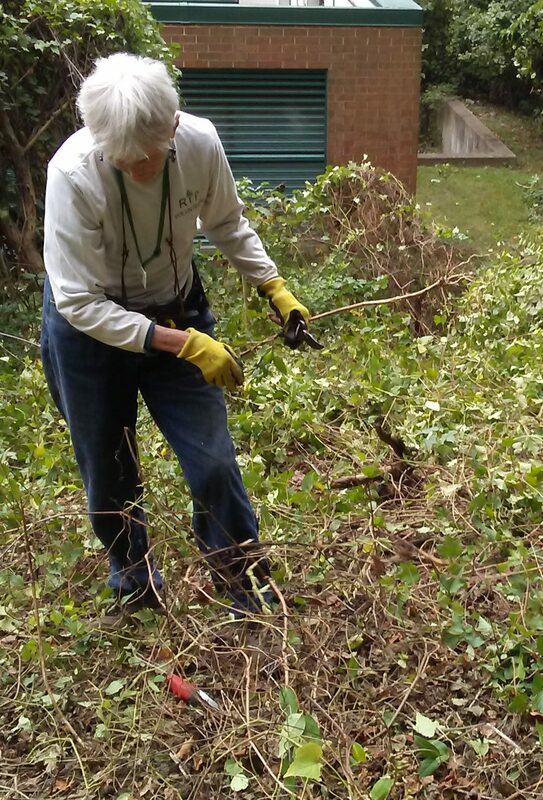 ARMN volunteer Jennifer Frum wrestles with English Ivy. 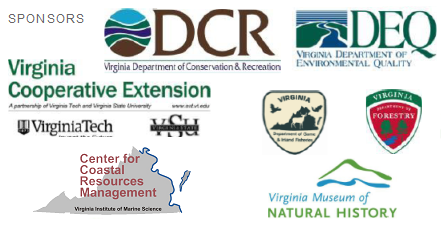 Over the years, the project has been supported by a number of other ARMN volunteers— including Mary Van Dyke, Judy Hadley, and Bill Browning—and Arlington County. Six Americorps volunteers also assisted one year. But steadfastly, Jennifer Frum has been the lead ARMN volunteer for the project, organizing the effort year after year and ensuring that Chamorro and the classes had extra help and guidance on identifying and pulling the invasive plants. Imagine six classes of 25 excited sixth graders out in the field! 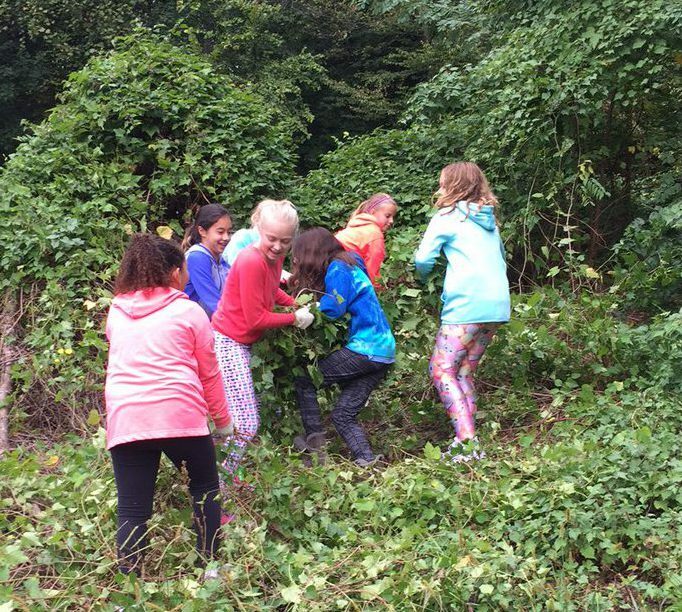 On a recent Thursday in October, Frum explained to one of the classes that in order to restore habitat for wildlife, invasive plants needed to be pulled so that native plants could survive. Standing in front of the classroom with strands of English Ivy as an example of an invasive, she explained that nonnative invasive plants don’t supply good nutrition to birds, bees, and other wildlife and that native animals need native plants for proper nutrition to survive. “If you ate ice cream every day for a week and it was your only source of food, it wouldn’t be good for you, would it?” Jennifer noted—and the class agreed. After a quick in-class lesson, the eager students headed out the door. 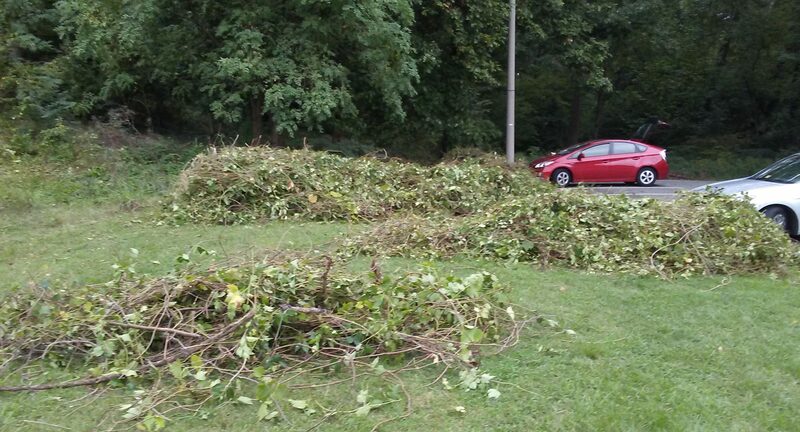 Throughout the remainder of the day, six different classes (along with Chamorro, Frum, and parent volunteers) took turns pulling invasive plants and competing to make the largest pile. Which class made the biggest pile of invasives? Frum and Chamorro plan to repeat the project several times this year. The students are always excited to work outside and get a sense of helping the environment. 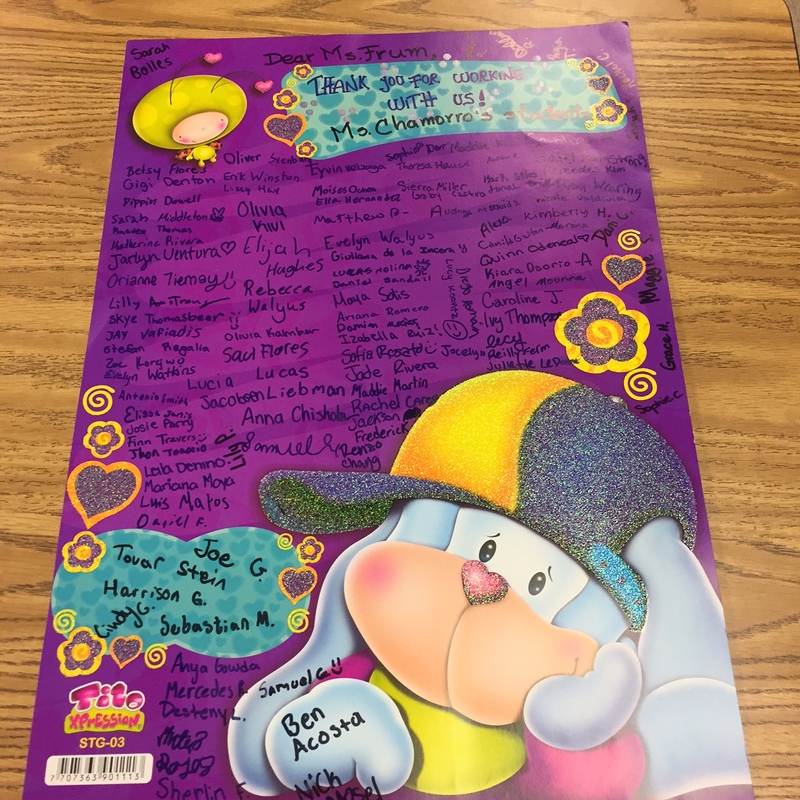 They loved their experience so much that Jennifer Frum was touched to receive a heartfelt, handmade thank you note signed by Luz Chamorro’s students! This entry was posted in Education, Events, News, Stewardship by howellch. Bookmark the permalink. Great post, Lisa – thanks! And hats off to Jennifer!